Begin with a soothing aromatherapy foot bath, add an invigoration foot scrub, then lie back for a relaxing session utilizing Reflexology alongside stretching and massage of the feet, ankles, and calf muscles. 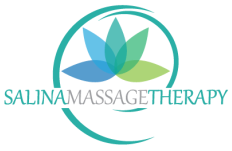 This intuitive massage blends Vibrational Healing massage and Myofascial Release Therapy along with Swedish and Deep Tissue massage techniques to maximize your body's potential to relax and release. A truly unique healing experience. Experience this relaxing, full-body massage with a choice of light, medium, or firm pressure. Carol combines long and short strokes with Myofascial and/or Deep Tissue techniques to help release tension in the body. Craniosacral Massage is a gentle and subtle massage that assists in creating skeletal alignment from head to toe. Deeply relaxing with potential long-term healing effects. This six session series is designed to stimulate and reactivate the Lymphatic System through manual movement of lymph fluid and nodes in the vessels. Education in low impact exercises, dry skin brushing, and nutrition are also included within the series. A mother’s body changes every day during pregnancy. Light, nurturing prenatal massage can provide relief from muscle and ligament tension, improve circulation, and provide overall rest and relaxation. Visit our office on your lunch break or any time you may need to relax. We offer basic 10, 15, or 20 minute massages as you rest in our chair. Please call ahead to check for availability. Have Carol and/or Joe come to your workplace or home and experience deep relaxation with no travel involved. Great for employee, customer, family, or friend appreciation. Spread the allotted time between different people at that location. Relax with a few of your friends and enjoy an evening of pampering. 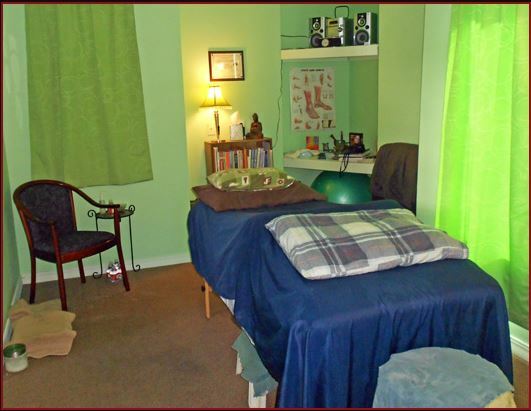 In this two to four hour party, Carol comes to the hostess' home and offers chair massage or Reflexology. Ideal for retreats, birthdays, and bachelorette parties. A truly great gift for the Goddess in your life. This 2 ½ hour session provides a unique spa experience specifically tailored for each individual. Carol provides emotional and physical support, advocacy, and education for couples interested in having a more natural pregnancy, labor, and birth experience. Includes massage, coaching, and follow-up. Certified in Yogafit Level 1, 2, 3 and Pre-natal Yoga training, Carol educates and provides safe Yoga lessons for individuals new to the idea. Intuitive counseling with Joe to assist individuals dealing with spiritual crisis, to strengthen one’s sacred path and restore one to a place of spiritual and physical balance. Focus will be on empowerment and discovering one’s inner-knowing and sense of purpose. Discover your sacred path. Prayerful and soulful, this use of Native American Tarot assists you in all aspects of life through divine guidance. Joe will make sure you leave this session with a deeper and more personal relationship with the Creator.